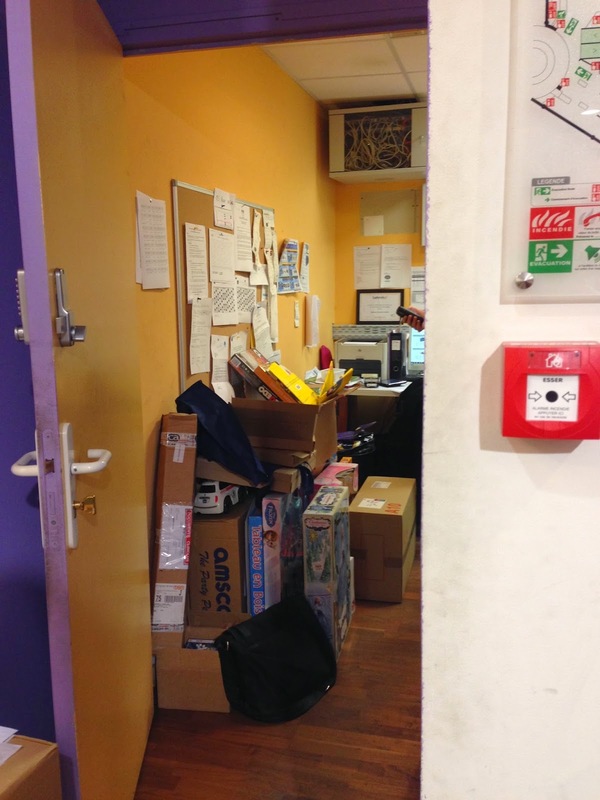 Online shopping in France can be simple like anywhere else, or it can be fear-inducing! Today's example is with La Grand Recre. I have an account with my local store, but don't have an actual "carte fidelitie." I was trying out a new feature they began offering a few weeks ago where you can order online and then pick up in the store. Simple enough and very common in the USA. Heart racing, I stammered the truth, praying that my answer will be satisfactory and that he won't scream at me or tell me "no you can't have it, madame, that's private information," "I'd like to purchase something online, on your store on the internet, and I don't have my client number." Sounds of shuffling, someone walking..."bonjour"..., more walking, door opening, "clunk!" Enfin! Voila! Now I can go about my purchase! * UPDATE #2: A week later I had to go into the store to retrieve said purchase. It was stored in the back room and I got to see the back office.